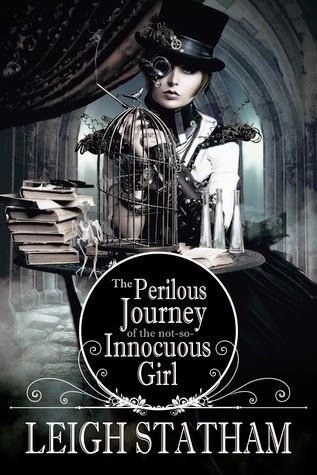 1.The Perilous Journey of the Not-So-Innocuous-Girl by Leigh Statham - This one I strictly added because of the cover it's just gorgeous! 2.Diary of a Haunting by M. Verano - This sounds pretty damn creepy I know I'll pick it up around Halloween since I love to get my horror fix around that time. 3.Ice Like Fire by Sara Raasch - I absolutely loved the first book in the series and am eagerly awaiting for this one. 4.Soundless by Richelle Mead - Fantasy , Chinese Folklore and Richelle Mead ...Hell Yes! 5.Neverland by Anna Katmore - Okay, so I just discovered this author this year and love her writing and have been adding everything she has written to my tbr. This one seems pretty awesome. 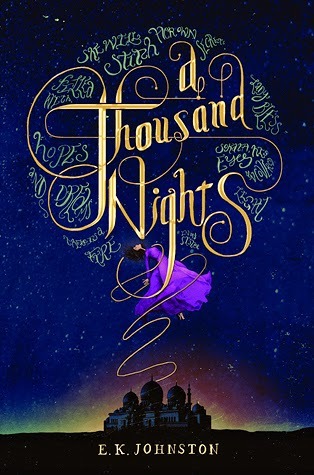 6.A Thousand Nights by E.K. Johnston - The cover is what grabbed my attention but the blurb WOW! The books seems like it will be pretty epic. 7.A Whole New World by Liz Braswell - A re-imagining of Aladdin what more is there to say. 8.Legacy of Kings by Eleanor Herman - The book wasn't on my radar until recently. I love fantasy and this sounds like it's going to be everything I love in a fantasy novel. Can't Wait! 9.Vengeance Road by Erin Bowman - Wild Wild West! A Western YA novel this should be fun to read. 10.The Game of Love and Death by Martha Brockenbrough - I literally just came across this book today and I want it like NOW! It's set in the 1930's, it's a romance, I saw the word Jazz and I'm hooked I have to read this book it sounds amazing.